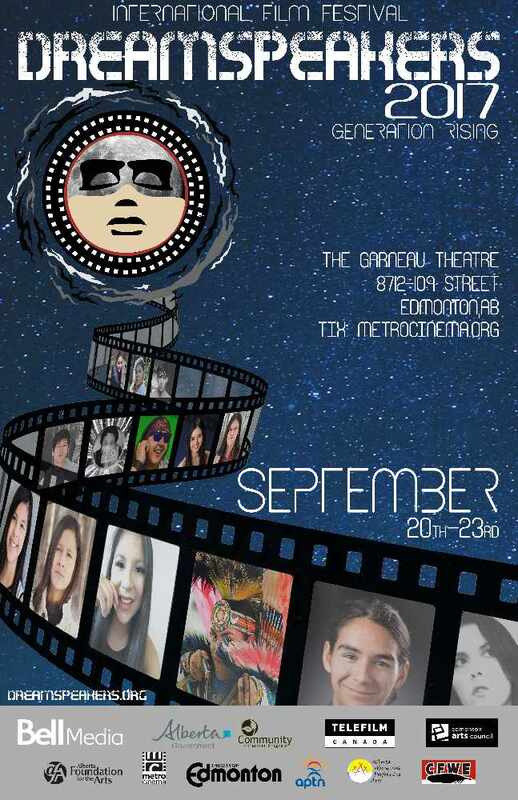 Connor McNally, a Métis filmmaker, will present his film “ōtēnaw” at Dreamspeakers Indigenous Film Festival on Friday, Sept. 22 in Edmonton. ōtēnaw is a Cree word that means city. McNally was interviewed by Jeremy Harpe of CFWE-FM, a sponsor of Dreamspeakers, about his film, which runs 40 minutes. McNally said the film will give viewers a better understanding of the place they live in and will help people get along better with one another. Born into the arts from the inspiration of his father, a professional actor, McNally has always dabbled in theatre and film. Coming up, the film is set to screen in Winnipeg and also at ImagiNative in Toronto Oct. 18 to 22. Dreamspeakers runs through the weekend with some great and important films, including Once Were Warriors, an iconic film with a deep subject matter, said McNally. Dreamspeakers is a good place to come to watch movies that people won’t see in the theatres, he said. “I like the idea of bringing people together to watch movies,” said McNally.